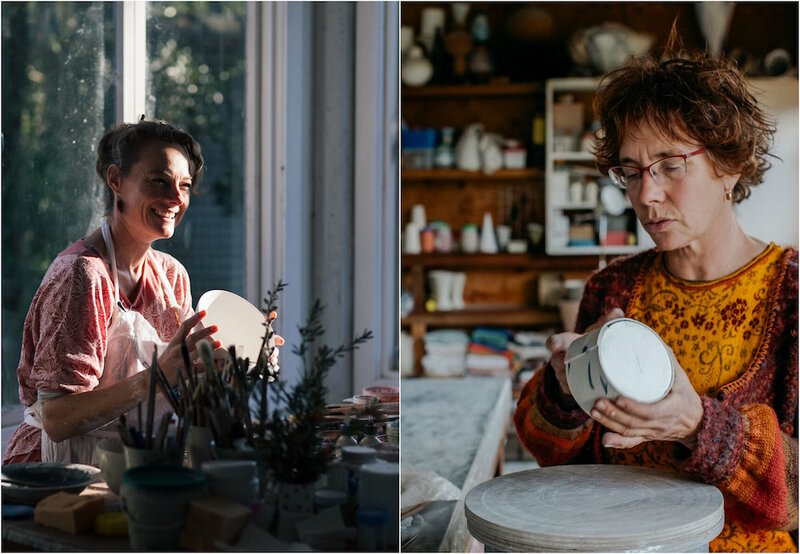 Embrace your curiosity and join myself and Finnish artist (now living in Tasmania) Nanna Bayer for a luxurious weekend of creativity, imagination and feasting in beautiful Maleny on the Sunshine Coast hinterland. Nanna Bayer will take us through her impressionistic nerikomi technique. The focus on this course is to learn to use coloured clay for hand building techniques. The emphasis is on playfulness in the making of patterns. It is a fun and addictive process. We’ll all meet at my old farmhouse in Maleny for a night of marvels, feasting, and music. 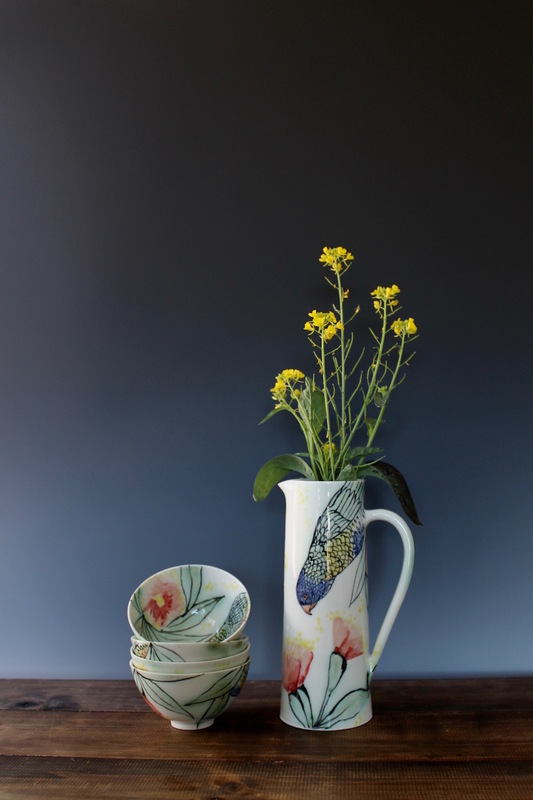 I’ll will start with creative inspiration, getting your ideas to take flight through porcelain, drawing, colour, photography. 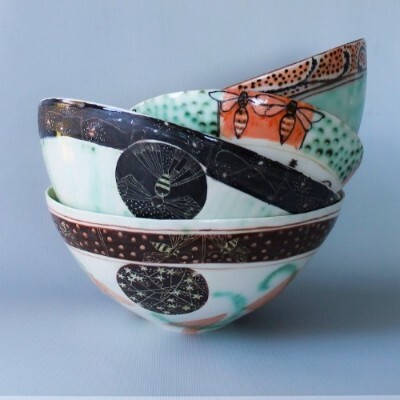 You will learn techniques to bring drawing, pattern making, colour and texture to clay and make an exquisite porcelain teabowl of your own to take home. 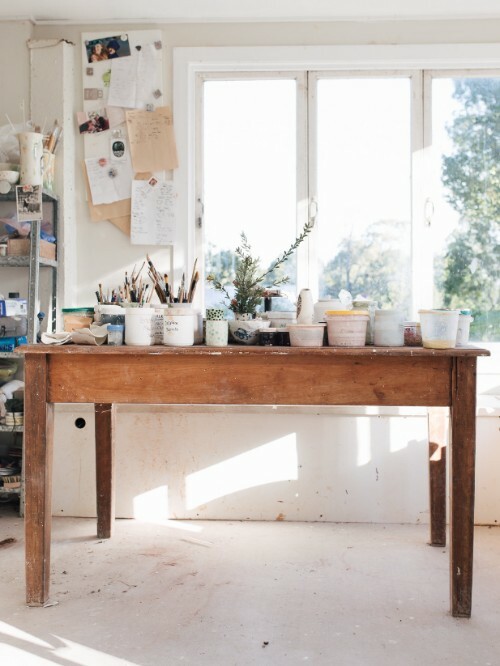 Designed as creative boost for artists in any field, germinate your ideas with a day in Maleny and an intense burst of inspiration. A crucible is a ceramic or metal container in which elements can be interacting and changing into something new. Join me in a workshop this October for a creative crucible, interacting with artists, finding inspiration and emerging changed and energized. Day One workshop with Nanna Bayer exploring colouring porcelain and creating nerikomi patterns. Marvellous feast with music, laughter and storytelling at my house on Saturday night. Day two workshop with me exploring creativity ceramic surface techniques, drawing, mark making, creating your own porcelain bowl. If you can’t make it for the whole weekend workshop come along the the Crucible Dinner on Saturday night. We’ll meet at my old farmhouse in the small town of Maleny for a magical night of feasting, live music and performance. 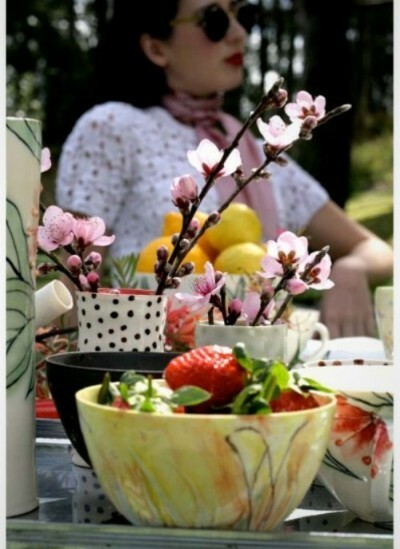 A night of crazy festivities with food, live music, tall tales and handmade pots. I’ve been in the studio making new work for “Entwine” an exhibition with Sunshine Coast artist Farley Cameron. I designed this collection to play on the idea of patterned china. I wanted to bring it into the 21st century, with realistic drawings of the wallum. Come and see Pearlie and I at the Vieille Branche Midwinter Market in in Brisbane. The Vieille Branche Market Day is the most poetic, magical, charming, beautiful markets in the world. For the past five years I’ve been on the Board of this fantastic organisation called The Australian Ceramics Association. I was President for four years and it was such an honour, the people I met and worked with have been a source of friendship and inspiration. 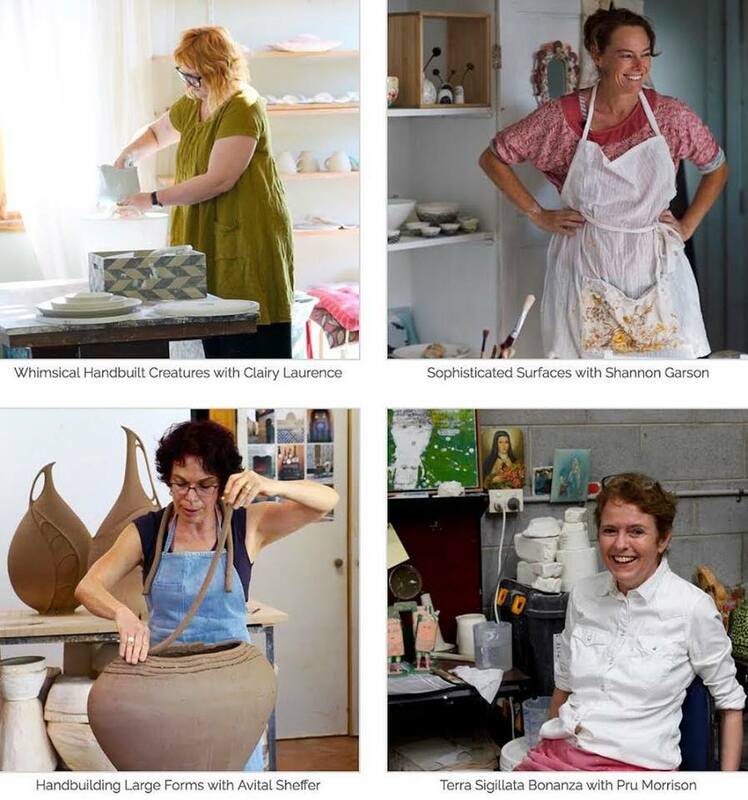 For the past year I’ve been involved in our big new project, theAustralian Ceramics Masterclasses. These online masterclasses take you right into four Australian artist’s studios and over the three week course the teachers will walk you through their amazing techniques. 21st July– I’m demonstrating and oing workshops at the Queensland Art Teacher’s Association Conference.